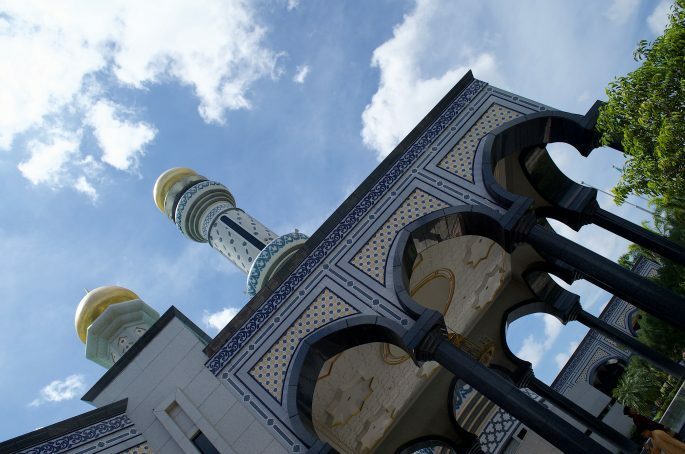 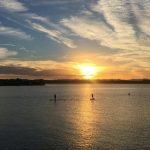 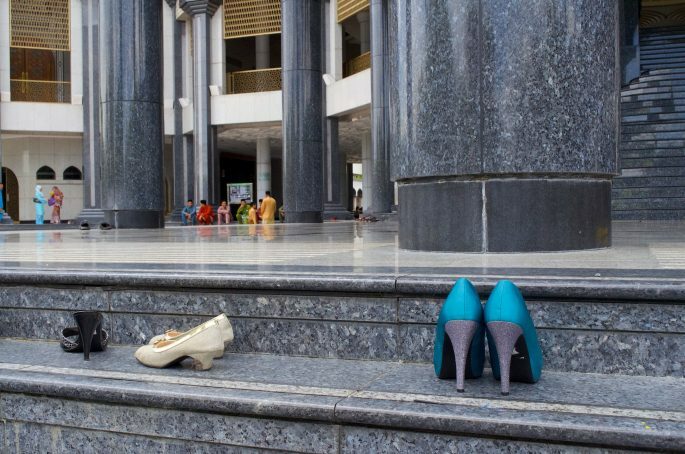 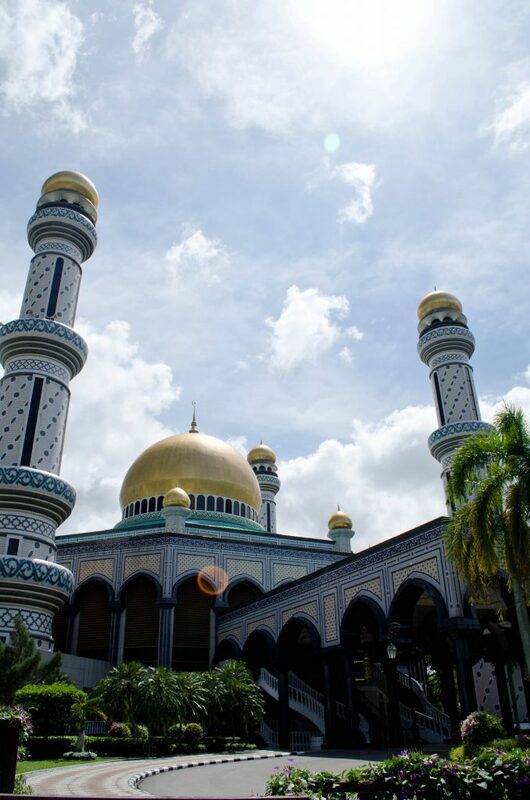 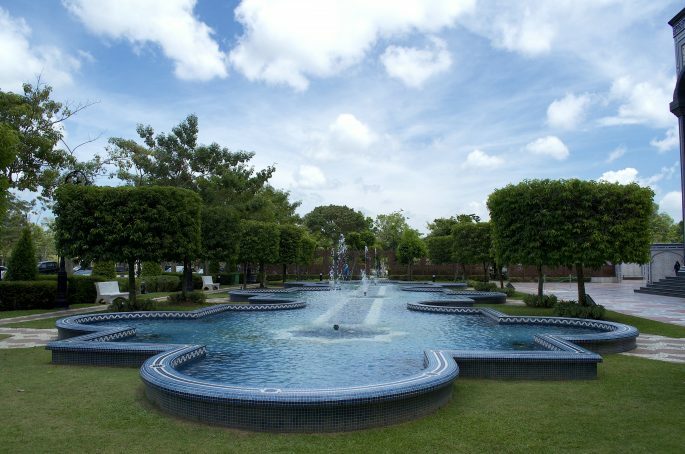 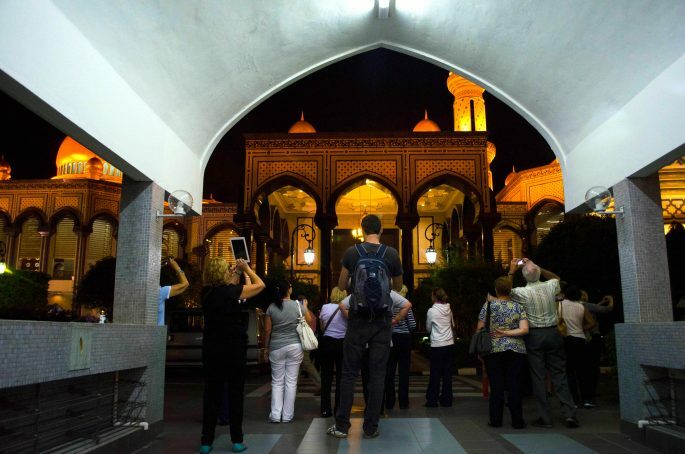 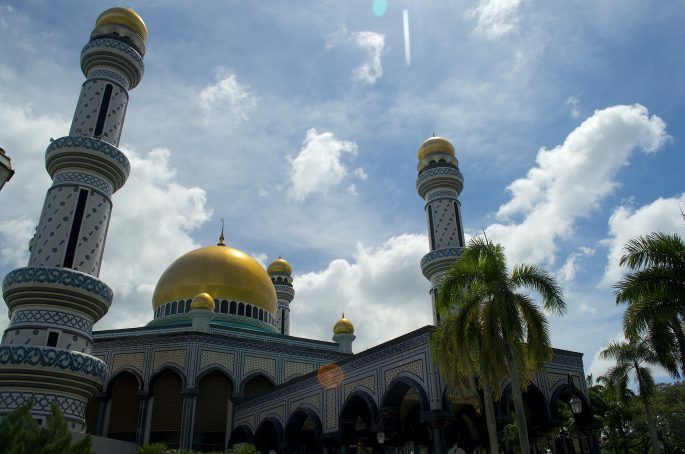 On a day trip to the Brunei capital I was wowed by a selection of Bandar Seri Begawan’s highlights, from mosques and floating villages to food markets and museums. 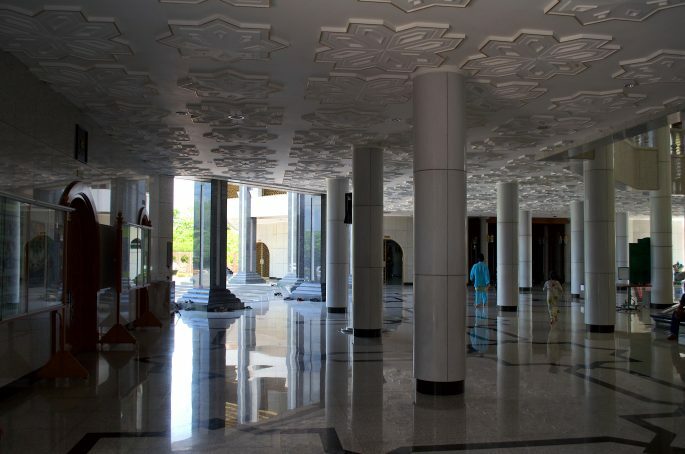 But the country’s largest mosque, which was built by the current Sultan was undoubtedly the most impressive thing I saw during my short visit to the tiny state. 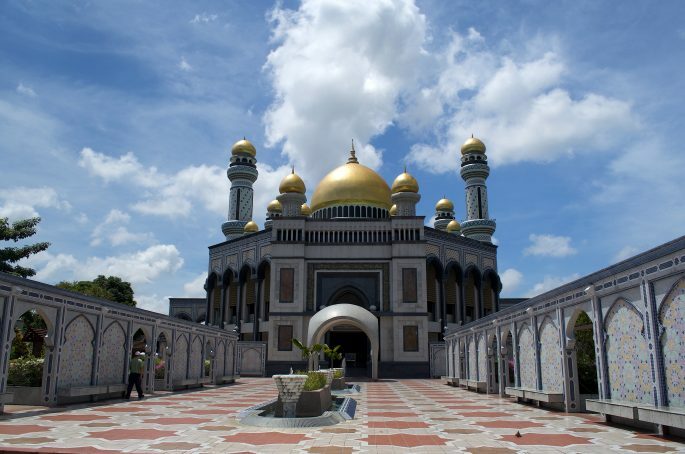 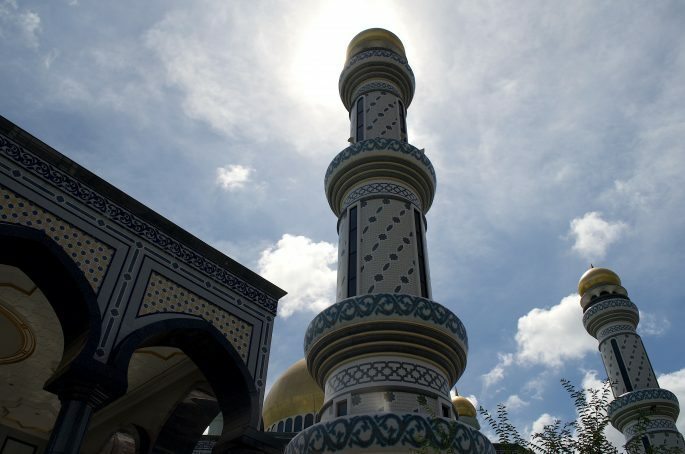 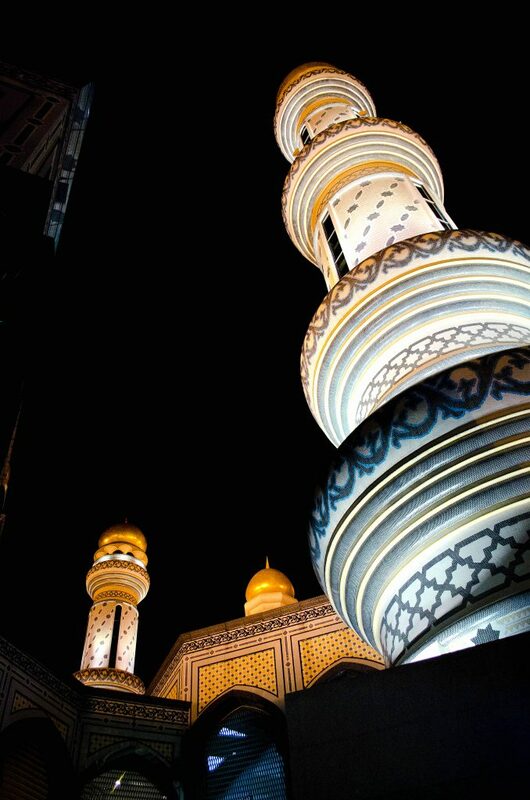 Brunei’s Jame Asr Hassanil Bolkiah Mosque is a breath-taking sight no matter your faith or your personal opinion of the State of Brunei. 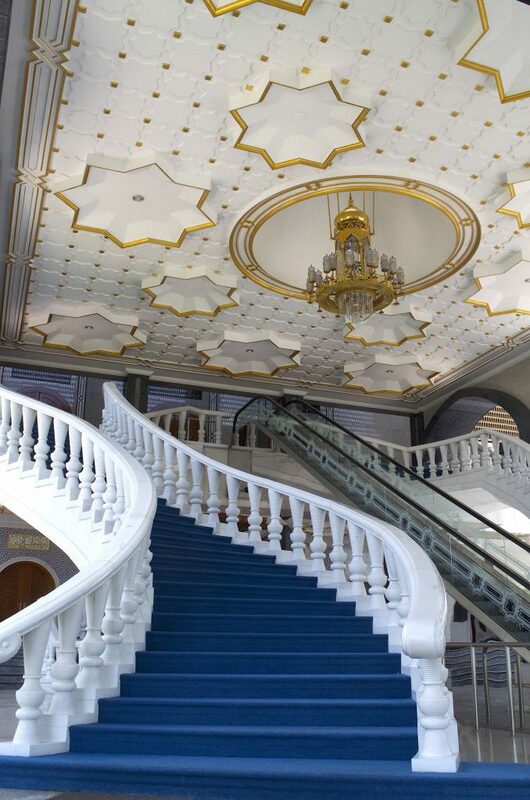 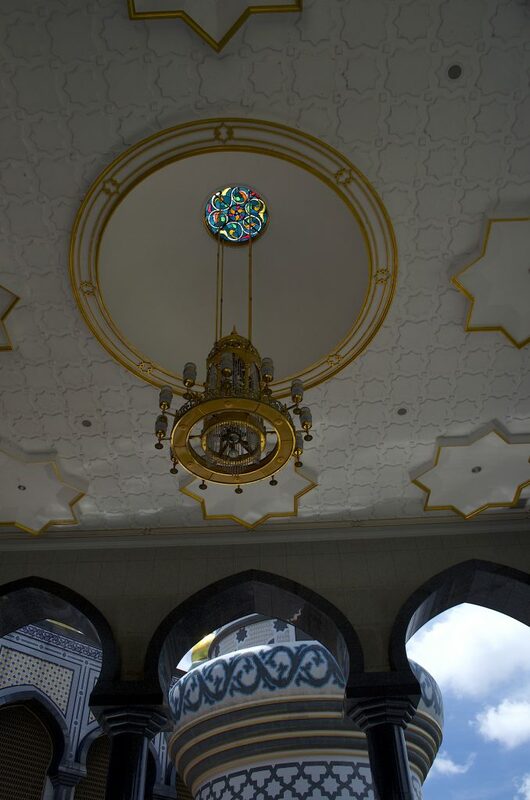 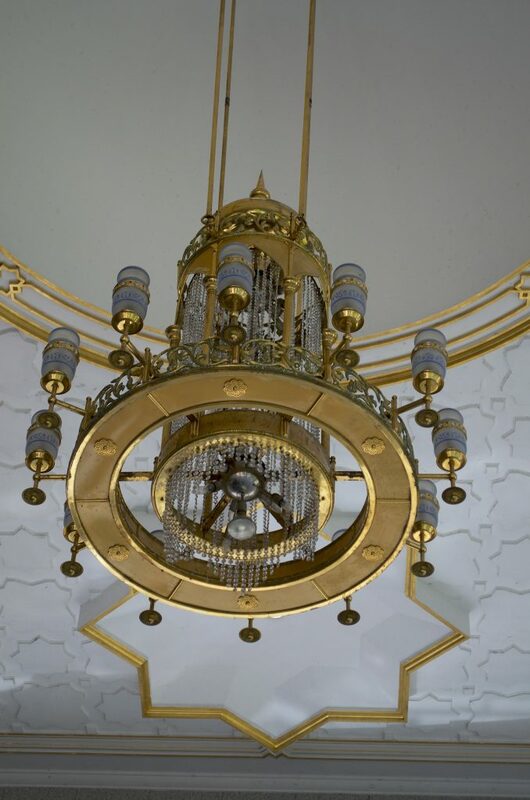 It was built in 1994 to celebrate the silver jubilee of the Sultan and includes a private entrance for the Sultan only, as well as 29 golden domes and 29 huge chandeliers adorned with Swarovski crystals – the biggest weighing a staggering 3.5 tons. 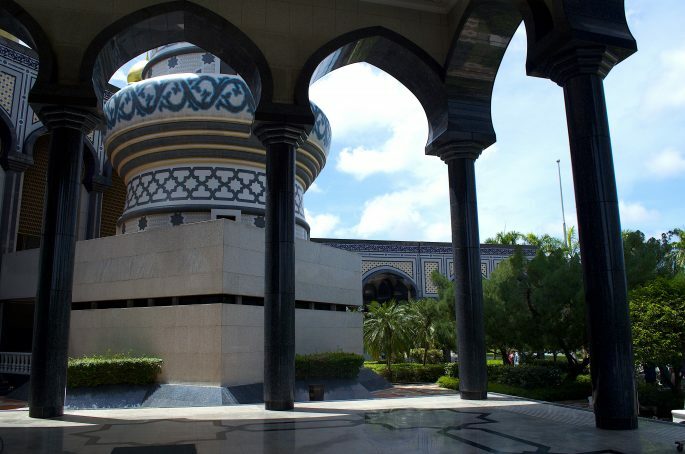 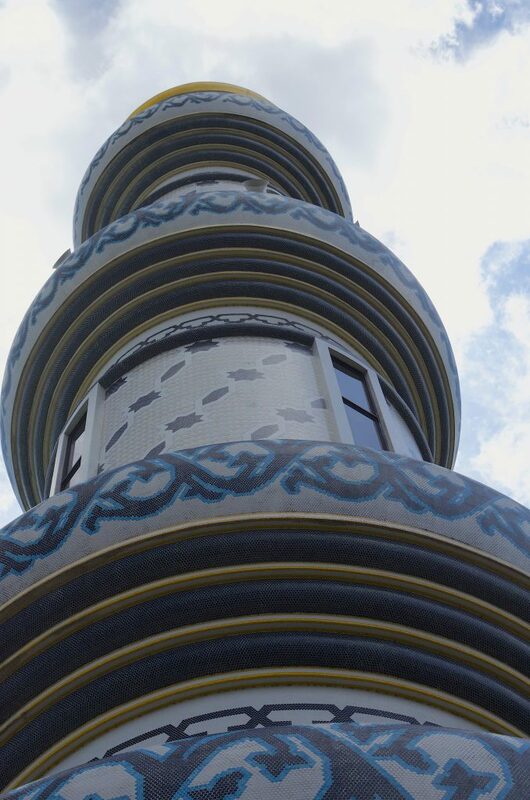 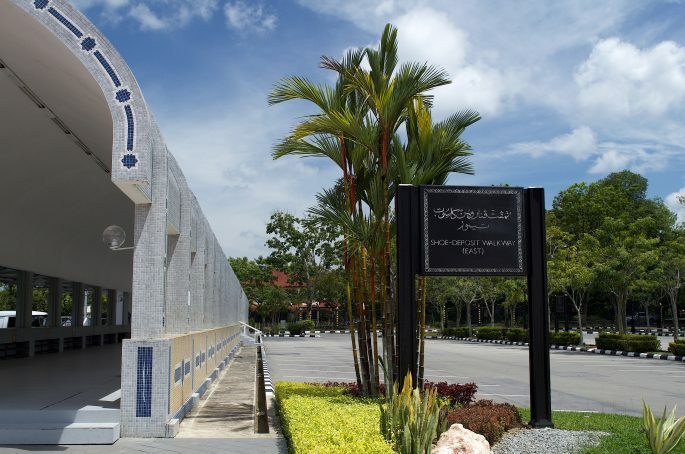 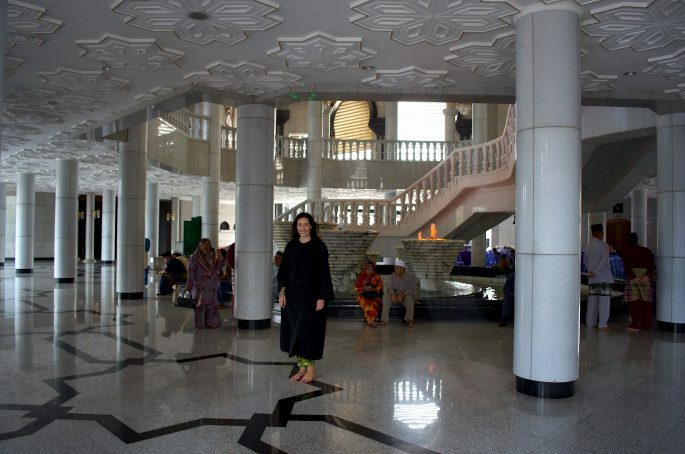 The mosque is considered to be one of the most amazing examples of modern Islamic architecture in the whole of Southeast Asia, but even if you’re not a Muslim you can visit and see for yourself – the mosque will give you a robe before entering, much like many places of worship around the world, to ensure that your dress fits the cultural and religious requirements. 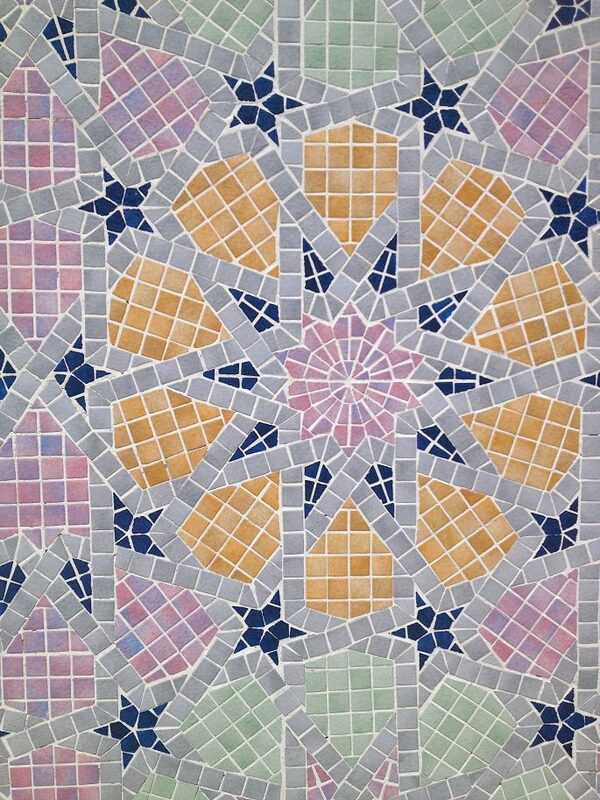 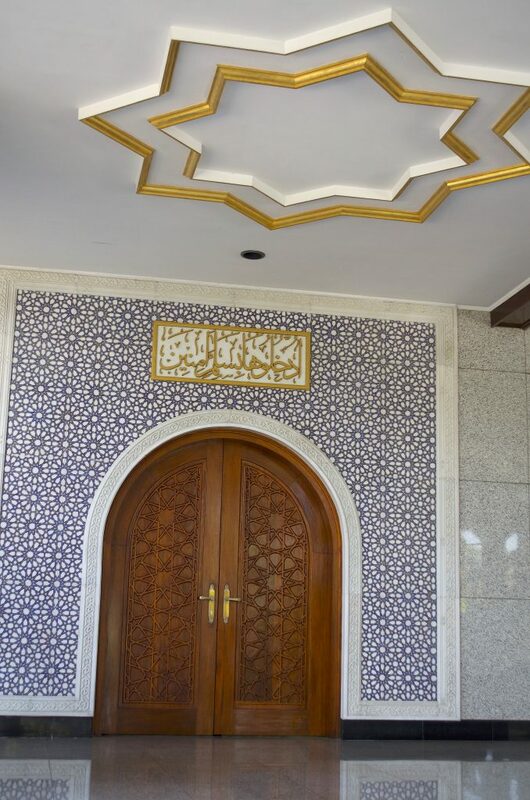 The Sultan’s private entrance to the mosque.